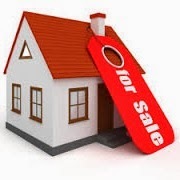 Do you want to buy or sell any property in Gujrat, Kharian, Lalamusa, Sarai Alamgir? Buy all type of properties in Gujrat; Plots, Houses, Shops, Flats, Farm Houses, Agricultural Land.... Just write your desired property, its specifications, your investing amount, your contact details etc in the form below. People who are interested will contact with you. Do you want to sell your house, plot, shop, plaza, hotel, farm house or agricultural land. Just write the details of your property, its location, its area, your demand price and contact details in the comments box and people will make contact with you. Property Dealers, Property Agents, Property Advisors and Owners of Colonies and Towns in Gujrat district are also welcomed to give their introduction. House, Shops and Flats for rent are also available in Gujrat. Buying, Selling or taking any property on rent is a sensitive issue. You should take intensive care before buying, selling or taking any business in property field or in real estate. Owner of this site is not responsible in any issue. People will write about their property or their desired property on their will and they are not known to owner of this site. So please make enough investigation and research before making any agreement. Before giving your contact details, keep it in mind that it will be disclosed to the general public. Please let us know where is the new housing scheme …?